The Scrum framework of project management is based on four basic ceremonies: the Sprint Planning meeting, Daily Stand-up, Sprint Review, and Sprint Retrospective. Daily Stand-ups are an integral part of the Scrum framework of project management. Each day, team members get together for a quick meeting—15 minutes max—to discuss progress and plan their day. If you’ve never held a Daily Stand-up (aka a Daily Scrum) before, you might not be sure where to start. Here’s a breakdown of what these daily meetings will entail and tips to ensure success. Most teams hold their stand-ups at the start of each day, but you can schedule yours for whatever time works best for your team and workflow. As long as your Daily Stand-ups take place at the same time day to day, you’re on the right track. Pro Tip: Every team is different, so don’t be afraid to experiment. Try holding your Daily Stand-up first thing in the morning for two weeks, then try holding them at the end of the day for the next two. Get together and discuss which people prefer. Maybe your team would rather hold them mid-day, so they are less likely to forget what they did yesterday, but also don’t feel worn out yet from a day of hard work. Form follows function, and in the case of any meeting, how you choose to host it should reflect it’s intended function or purpose. These meetings should be quick, but informal. So don’t get comfortable. As the name implies, your stand-up meetings should take place, well, standing up. Meet in areas without chairs or other furniture. Don’t bring belongings to set down or lay out. 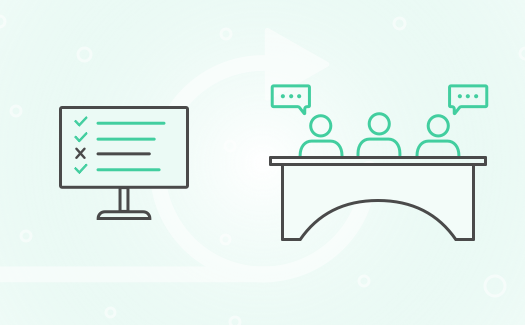 These meetings aren’t the time or place for elaborate presentations or long-winded complaints; they are there to get everyone on the same page for the day, clarify requirements, and remove roadblocks. Anything else can wait. It should come as no surprise that when you plop people down in a comfortable chair with their laptop, notebook, and morning coffee, they’re more likely to let the meeting drag on longer than necessary. Get people up and moving, and that energy will reflect in the meeting itself. This depends entirely on your company, your team structure, and what projects you’re working on. While some startups may still be small enough to include everyone, for many companies this won’t be the case. At a minimum, include one representative for all of the major participants and stakeholders. The idea is to combine and align perspectives to ensure you’re accounting for all work and discovering and implementing creative solutions quickly. Some added face time also makes work more personal, prevents work silos, and promotes team camaraderie. Encouraging collaboration is the key to highly successful companies. Pro Tip: When new members join the Daily Stand-up, give them an introduction about how things run. New members or people unfamiliar with these meetings can easily sidetrack the conversation or bring up issues better addressed under other circumstances. Keep meetings focused by setting everyone’s expectations. What are the obstacles standing in your way, and who can help remove them? These questions are at the heart of productivity, so you can see why they are important to align on each and every day. They also have the potential to bring a lot of valuable information out into the open for everyone to address. It’s important that each person does their part to answer these questions as accurately and transparently as possible. It’s also important to understand that Daily Stand-ups aren’t just status meetings; they’re forums for discussing any gaps in the team’s commitment and understanding of the requirements. Open communication between team members, Scrum Master, and Product Owner is imperative. Because teams are self-organizing, everyone is responsible for reporting to each other, not just to one person. Pro Tip: Using a Kanban board can help streamline this process. By visualizing the stages of each task in progress, you are better able to spot bottlenecks, foresee future conflicts, and track everyone’s work collectively. Table any topics not related to the immediate tasks at hand, such as higher-level strategy, or new feature ideas, for later. It’s perfectly fine to introduce new ideas if they arise organically, but they should then be “Taken offline,” i.e. agreed to be discussed outside the current meeting. This ensures that the main conversation is continuously refocused on the immediate work being done. Larger obstacles identified during stand-ups may also need to be set aside if the conversation starts getting sidetracked with technical discussions and problem-solving. When a solution to a problem requires more than the 15-minute benchmark for your stand-up, it’s good to assemble a group who can help tackle the issue after the stand-up is over. Pro Tip: Minor obstacles often have immediate solutions, while larger ones can recur without resolution. 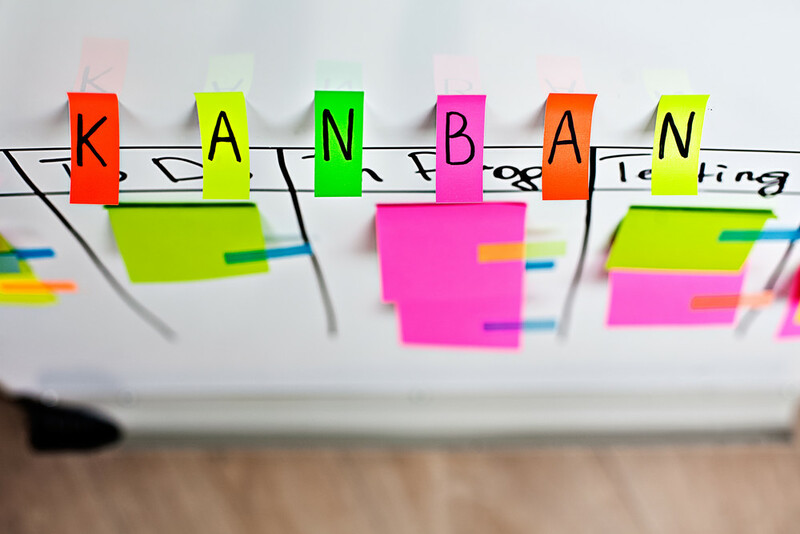 To track and create accountability around larger obstacles, create a separate Kanban Improvement Board. But only add items that the team can adequately address. 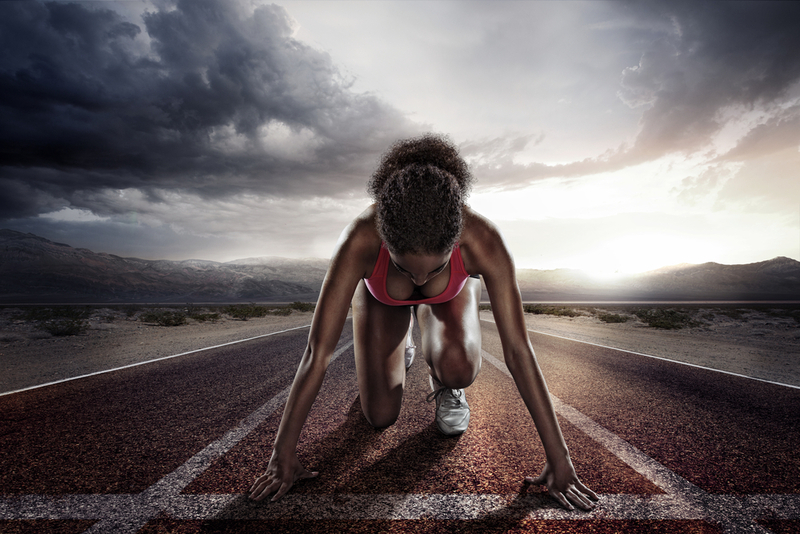 When run correctly and consistently, Daily Stand-ups can keep projects running on time, help identify problems as quickly as possible, and remove roadblocks and obstacles. As you get comfortable holding these daily check-ups, you and your team will get better at running them, and everyone will feel more connected.